The Sky is Not Limited is a non-profit public charity to help get people clean water. 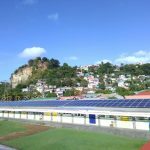 We have pledged to use renewable energy to power our water projects. 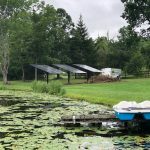 Well pumps that we install are powered 100% through solar electricity. The Sky is Not Limited was founded in 2006 by Kevin Bailey. Fundraising began in 2007 in the parking lots of various Dave Matthews Band concerts around the Northeast USA. That summer, Kevin raised several thousand dollars by asking concert goers to help fund clean water projects in Africa with a small donation. In 2008 though 2011, The Sky is Not Limited was invited by Reverb to be part of the EcoVillage at various concerts. This gave the organization the opportunity to be in front of thousand of concert goers in a formal booth setting. In 2011, The Sky is Not Limited funded their first solar powered well in Tanzania through donations received on the road! This was helped by a chance encounter with Maria Pool, founder of African Reflections Foundation. 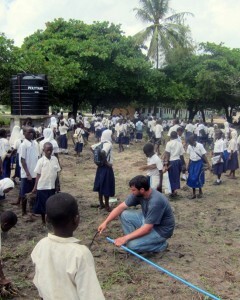 Mr. Bailey traveled to Tanzania to help install this one of a kind deep well. 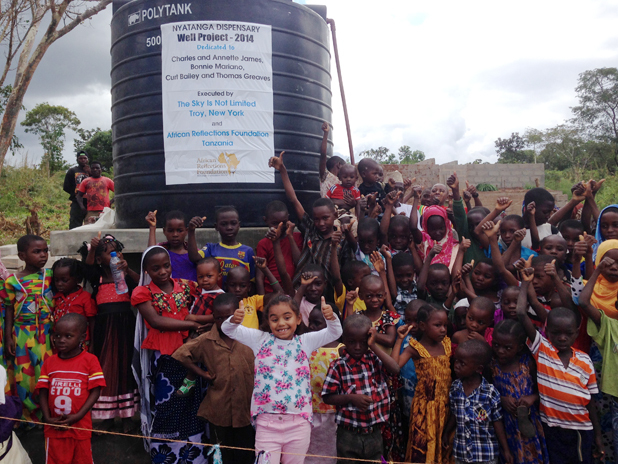 Since 2011, The Sky is Not Limited has donated 9 deep wells throughout the Mkuranga district of Tanzania, in partnership with African Reflections Foundation. 2015 plans to be another fruitful year, with 2 solar wells in the works! You can help us reduce the poverty! We can make a difference. Visit The Sky is Not Limited for more info. The next time you take a cold drink of water or take a warm shower, stop and remember there are over 1 billion people in this world who have no access to clean or running water. 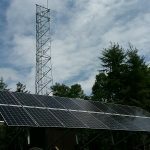 All of the money raised will go directly toward constructing solar well projects in the East African country of Tanzania in the summer of 2017. These wells, built by The Sky is Not Limited founder Kevin Bailey, will offer a fresh and clean water source for an entire village of people, including schools, who would otherwise not have access to one. Instead of villagers walking great distances to find a water source – which can often be contaminated and unsafe – these wells offer a safe place to gather clean water all while being powered by the sun.